It should be noted depending on the type of SmartArt graphics template used, the animation effects may differ. Click to select the SmartArt graphic that you want to animate. Published by jak58. Latest update on October 25, 2012 at 08:42 AM by jak58. 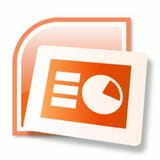 This document, titled "PowerPoint - Animate your SmartArt graphic," is available under the Creative Commons license. Any copy, reuse, or modification of the content should be sufficiently credited to CCM (https://ccm.net/).